Capitalizing on the ability of our dexterous and eminent crewmen, we are indulged in the realm of providing Tarpaulin Storage Industrial Shed. Monsoon sheds are built to get 100% water proof, we cover LDPE sheet over tarpaulin to ensure cent percent protection from rain. We erect Monsoon sheds with 100% Waterproof HDPE Tarpaulin which are further reinforced with LDPE liners to make them complete Waterproof. 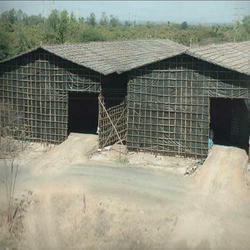 Our Monsoon Sheds are manufactured using quality raw material at our vendor's end and thus are reliable and durable. 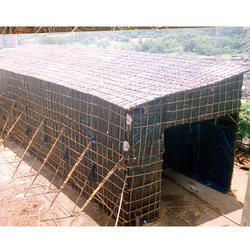 These can be used for rain sheds in various industries, construction sites and mills. Apart from this, our products are used in chemical storage tanks and also as sheds over open warehouses.